WLF Accounting & Advisory is built on a foundation of helping Tasmanians. We were founded in 1890 with a commitment to our clients and community, and this has continued to grow for more than 120 years. We care about our community. We believe we have a responsibility to help Tasmania move forward, for today, tomorrow and for future generations. 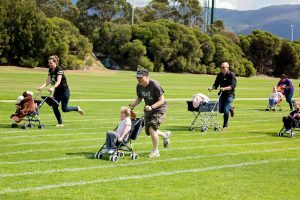 Our sponsorship program is one of the ways we show our support to organisations across the Tasmanian community. Like many businesses, we regularly receive requests for sponsorship. So it’s important that there is a ‘good fit’ between our own business values and the organisations we support. Keeping it local is one way we do this – we’re a Tasmanian firm so we like to give back to our state. Relationships are also a big part of how we do business, so we value long term partnerships that can deliver mutual benefits over time. That doesn’t mean we won’t consider support for one-off events though. And we like to understand the purpose of our sponsorship. We’re focused on outcomes and solutions, so we want to know what success will look like if we are able to provide support. Requests for sponsorship should be made in writing to WLF Accounting & Advisory’s Marketing Group. These hints and tips will help you in providing the information we need to consider your request. 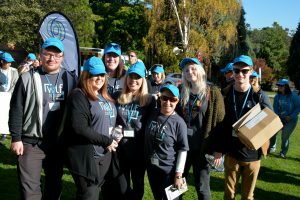 Our team works in close partnership with a number of not-for-profit and charity organisations around Tasmania, helping them as they deliver their services to the community. We provide professional expertise and advice for our not-for-profit clients on special reduced fees, plus some audit services as a donation from our Partners. We are proud of our long standing relationships within this sector. 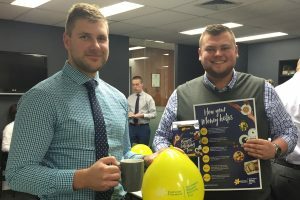 Members of our team also give their personal time to provide support for charities, community and sporting organisations throughout the community. Our focus on sustainability doesn’t just help the environment. It allows us to deliver services to our clients more efficiently, and in many cases it also provides financial savings. In 2013 we made a commitment to reducing the volume of paper we use, by adopting digital documents where practical. We saved over 137,000 pages of paper in our first year, which equals a saving of 585 Kg in carbon dioxide. We’ve continued to build on this over time. More recently, we’ve launched an MYOB electronic client portal, providing secure, end-to-end digital documents. We operate with electronic workflows internally. And when we do print documents, we ensure they are recycled after being securely shredded. We recycle office waste, and we do our best to be energy efficient with computers and screens all operating with power saving modes.